The OneNet Global Private LAN Transport and Private Data Networking Infrastructure provides a network capable of all forms of telecommunications between your offices. Public Internet traffic, prioritized voice traffic, and LAN/private data traffic are all options. 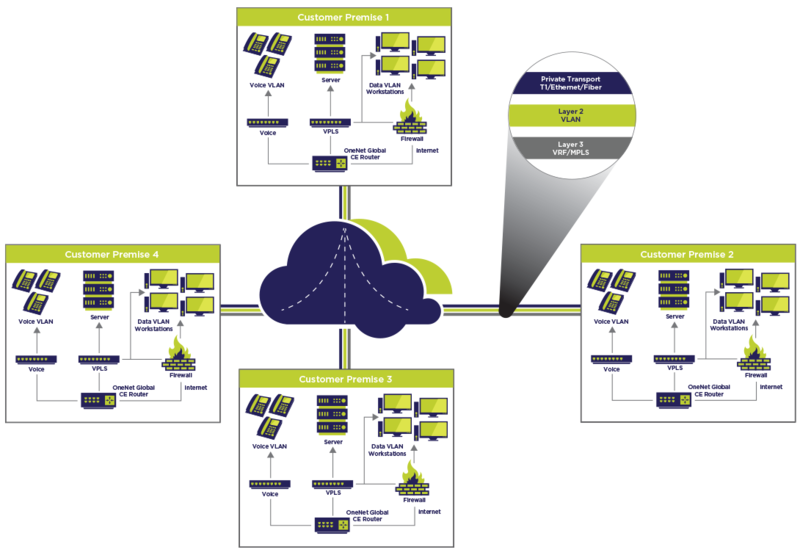 Transport of LAN/private network data between customer premise locations is accomplished using layer 2 VLAN segmentation and layer 3 VRF or MPLS technologies depending on your customer premise location. Connect with us for further information on how this technology can save your organization money and provide additional redundancy and failover.